Today is the First Day of Advent. 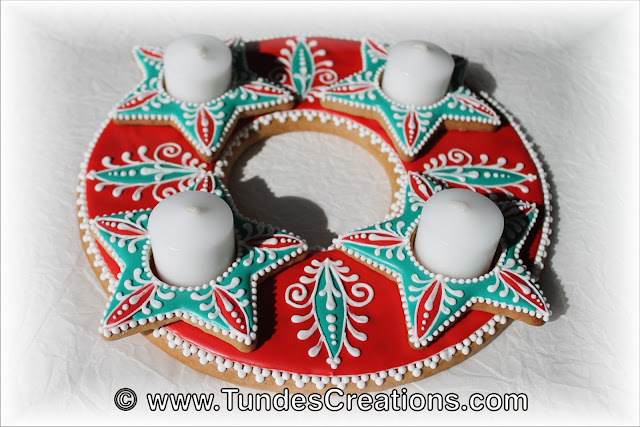 You can read about advent and the four candles in my post from last year. 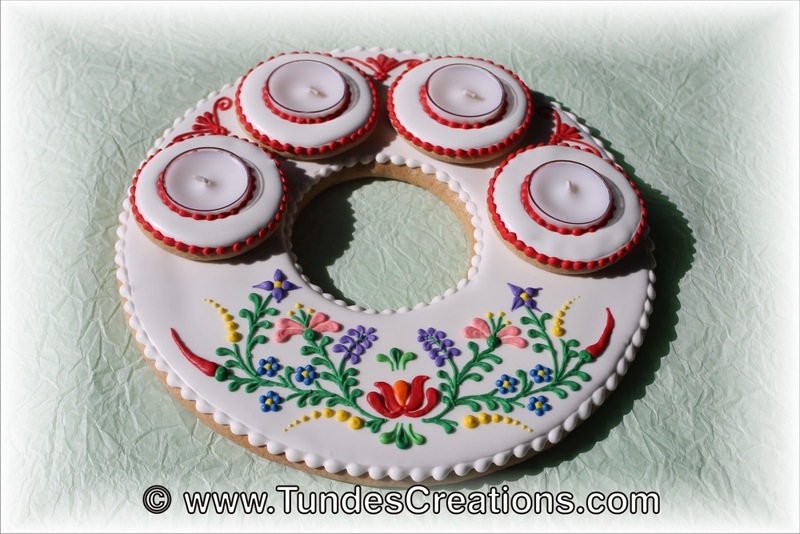 This year, I created this advent wreath with the Hungarian folk art flowers along with coordinating ornaments and candle holders I will show you later. My sweet friend told me she was planning on red and teal Christmas this year, so I decided to surprise her with an advent wreath centerpiece and some matching Christmas ornaments. Advent is such a beautiful period of the year. This year, I decided to work less and focus on little sweet things more. Enjoy this wonderful period of the year!